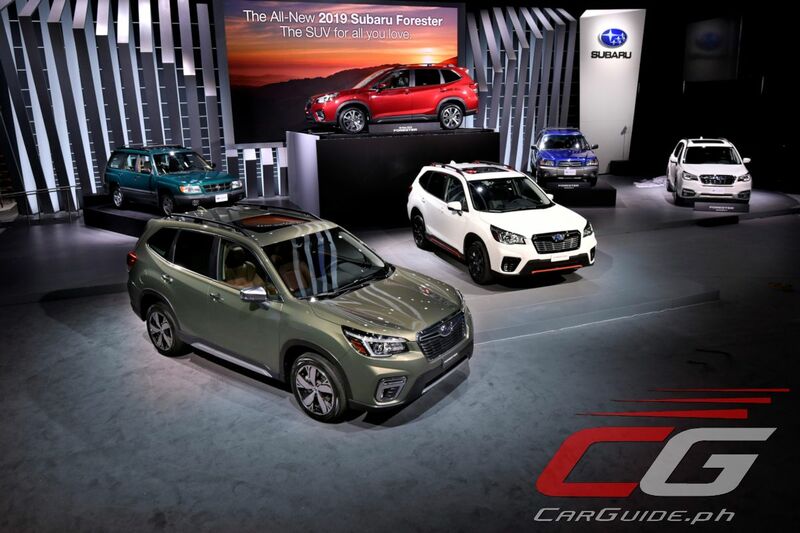 Subaru launches the all-new 2019 Forester at the New York International Auto Show. 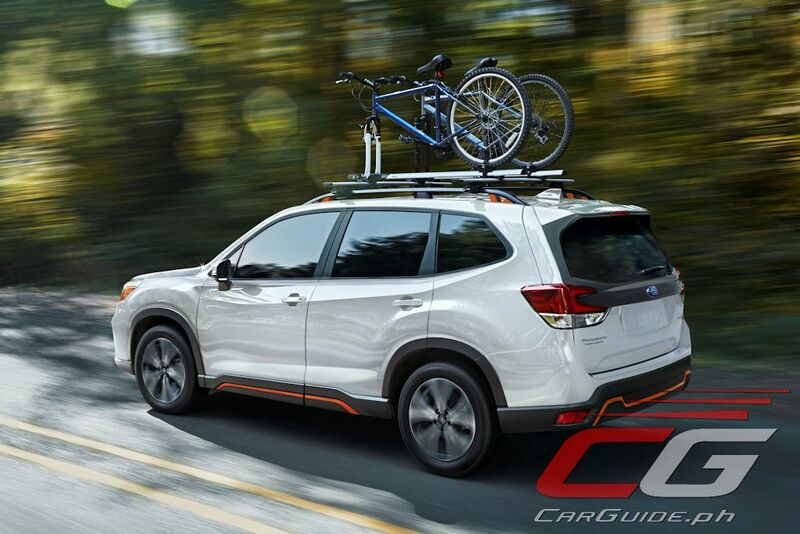 The fifth-generation of Subaru’s global best-seller, it’s the roomiest, most capable, most versatile ever made and also features groundbreaking new safety technology. There’s just no turbo engine (bummer). 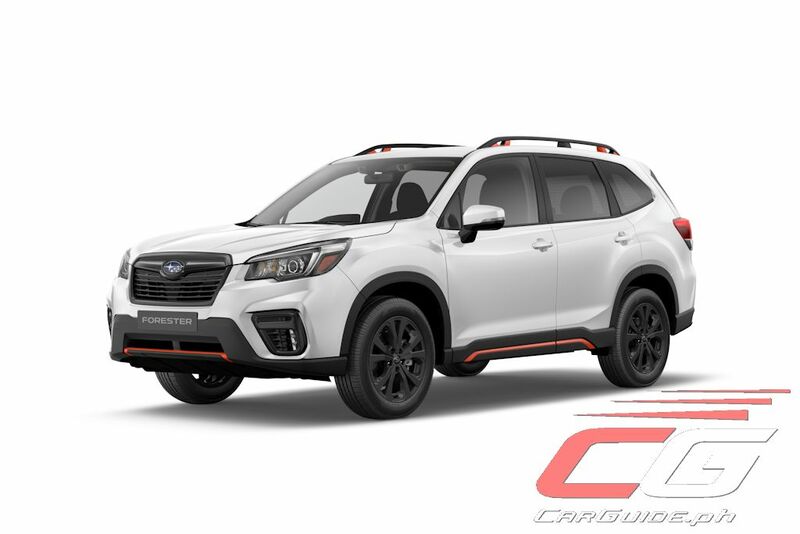 Built on the Subaru Global Platform, the 2019 Forester will deliver significantly higher levels of crash safety performance along with improved ride, comfort, and quietness levels. Ground clearance has been retained at 220 millimeters but improvements have been made to its approach, departure, and ramp breakover angles. With a turning radius of just 5.4 meters, it ensures ease of handling even in tight spaces. All models (at least for the US market) gets an all-new 2.5-liter normally aspirated direct-injected Boxer engine developing 182 horsepower and 240 Nm of torque. The FA25 engine features Active Valve Control System (AVCS) and mated to an updated Lineartronic CVT transmission, it should yield better fuel economy while producing better acceleration and response. 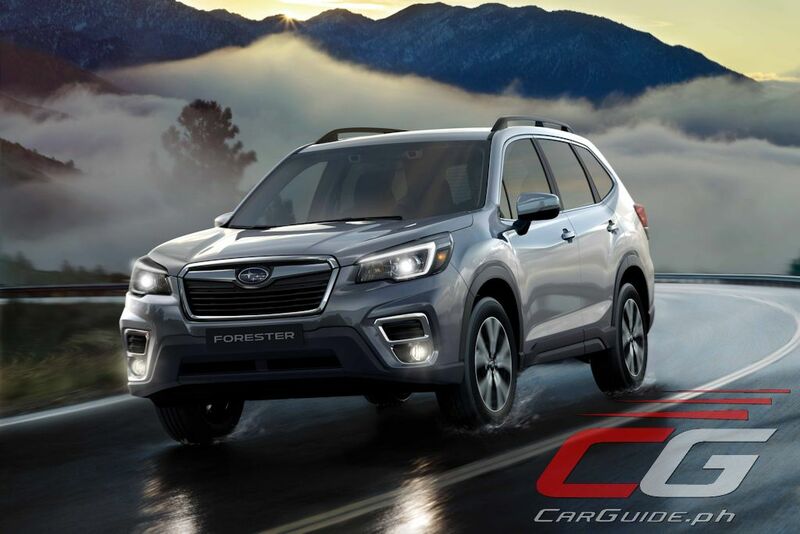 The Forester also comes with Subaru SI-DRIVE with two standards modes: Intelligent and Sharp. 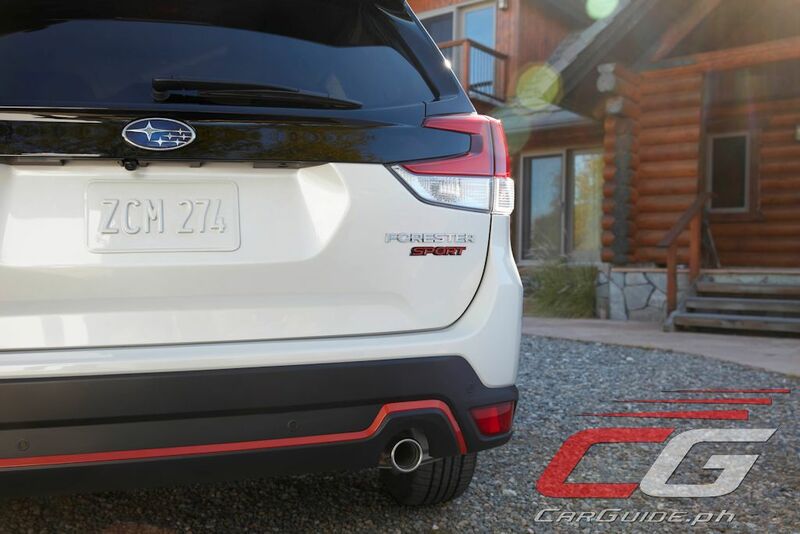 The Forester Sport (which replaces the XT as the sportiest variant), adds Sport Sharp. 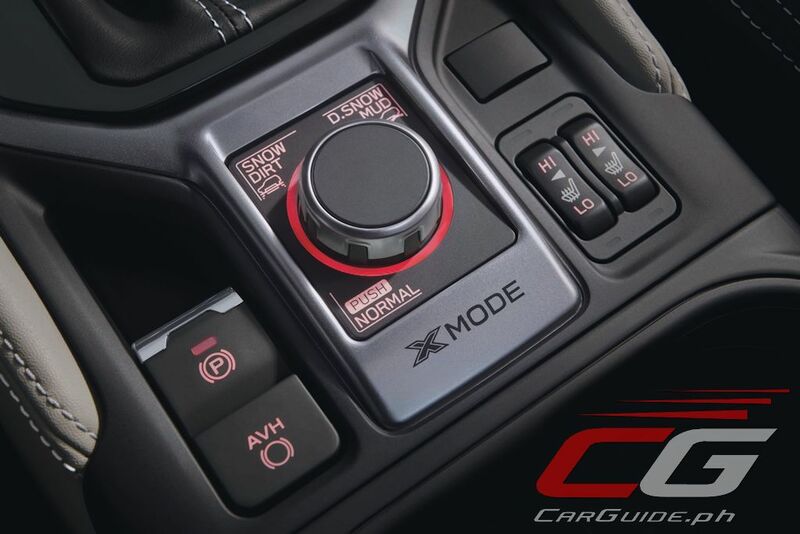 As well as a two-mode X-MODE system. 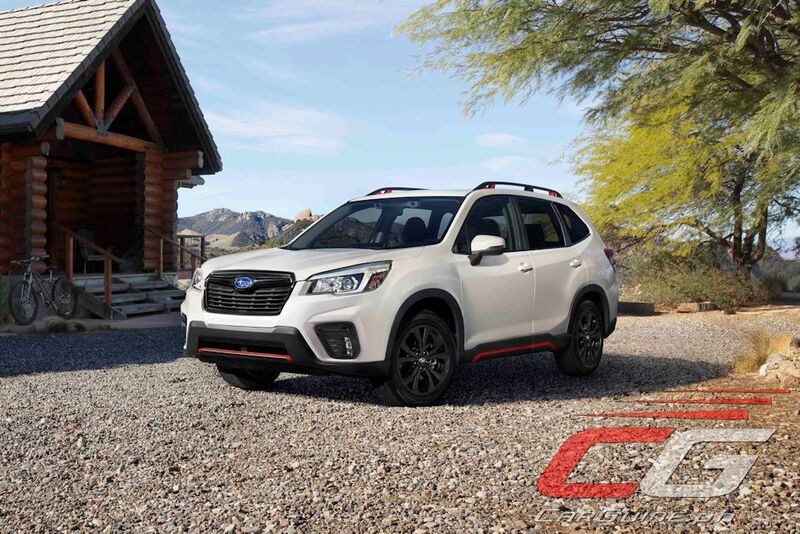 The 2019 Forester continues with Subaru’s trademark Symmetrical All-Wheel Drive system enhanced with Active Torque Vectoring. Tire sizes are retained at 225/60 R 17 and 225/55 R 18. 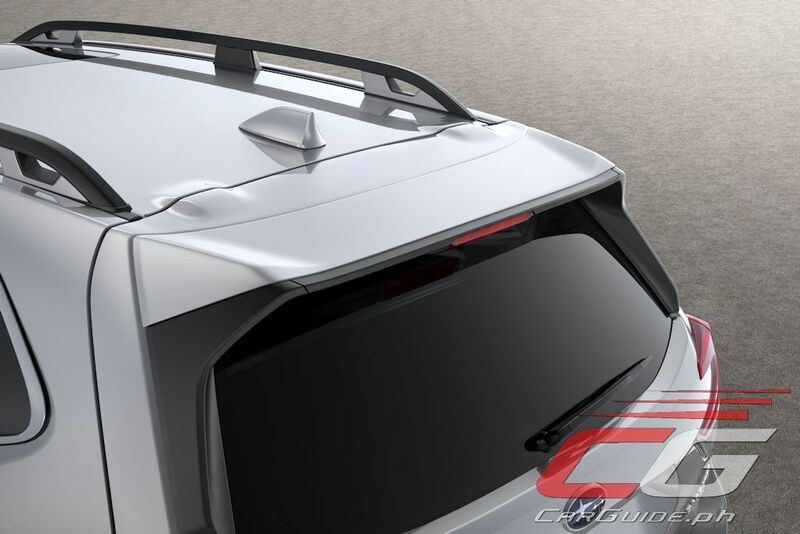 Outside, the Forester turns more rugged with prominent wheel arches and standard underguards at the front, side, and rear. 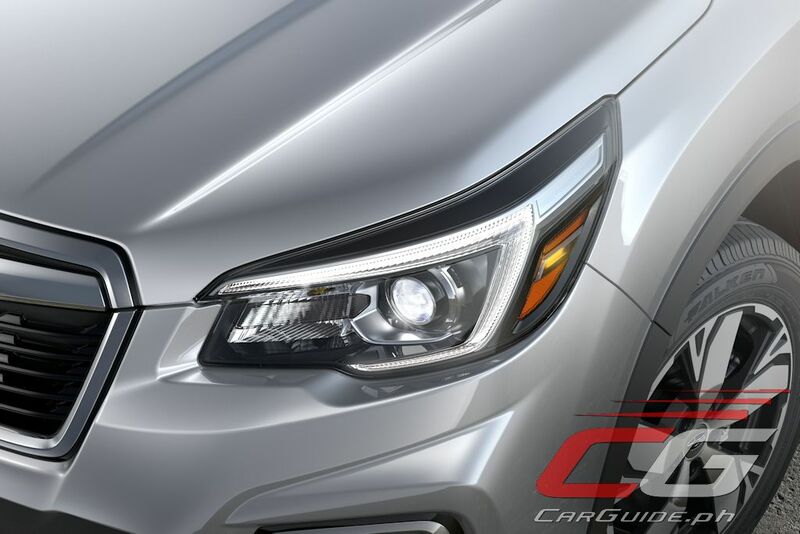 The hexagonal grille, available in both high-gloss or silver trim, are flanked by LED headlights and available LED fog lights. 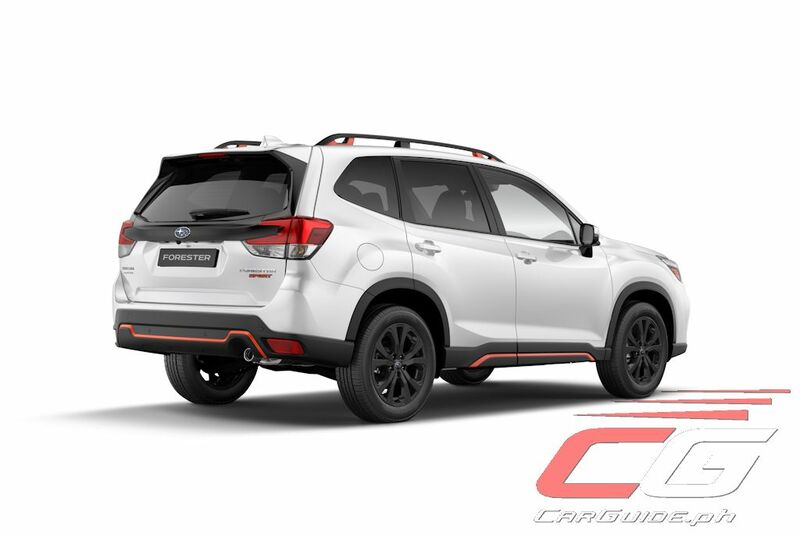 Functionality is key to the Forester’s design and thanks to a lengthened 2,670-mm wheelbase, it gains 35.5 millimeters of rear legroom. 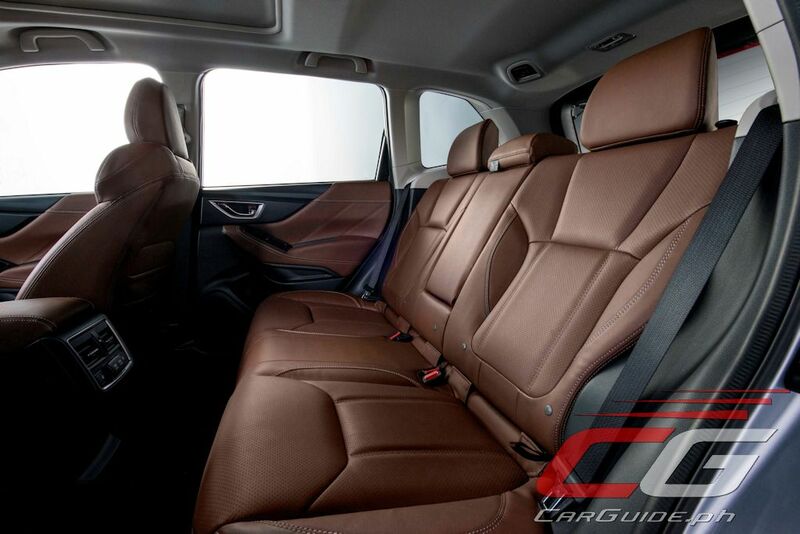 It also has gains in head-, hip-, and shoulder room bolstering passenger comfort and spaciousness. 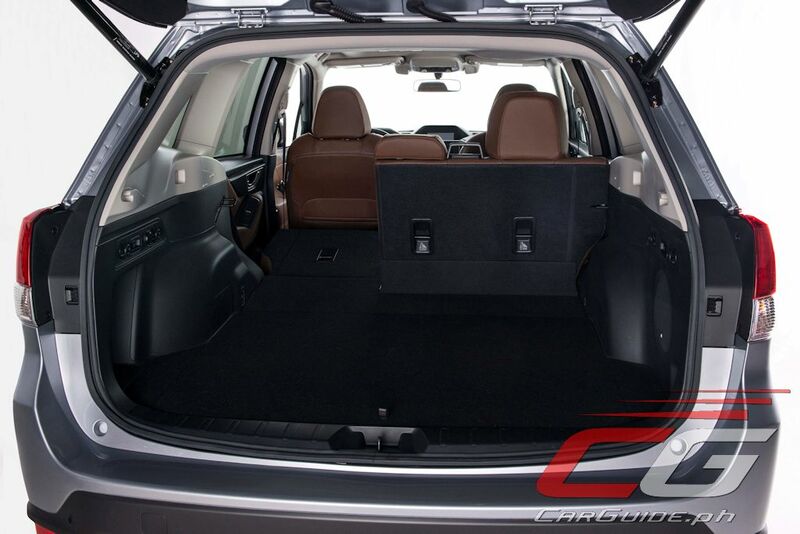 The cargo space also increases along with wider openings. For example, it’s now possible to load a full-size golf bag sideways without tilting it. 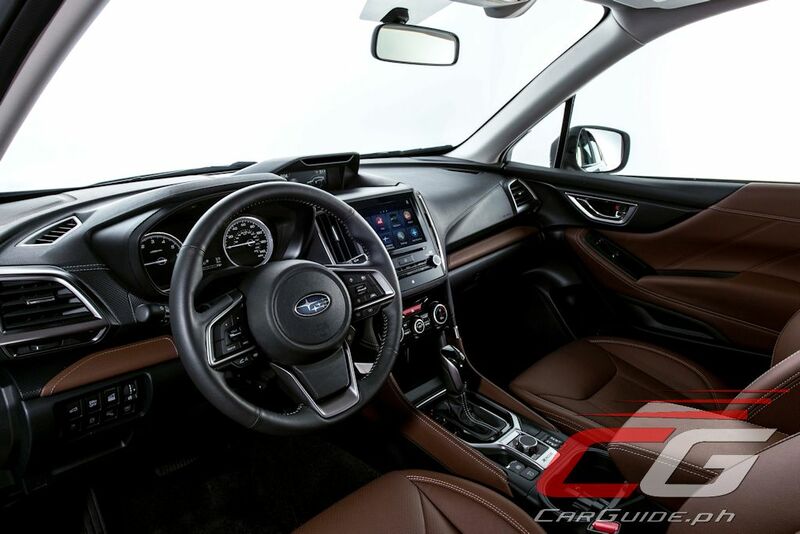 Interior features for the 2019 Forester include: push-button start/stop with PIN code access, rear LED floodlight (illuminates the area around the rear gate when opened), dual zone climate control with rear A/C vents, scratch-resistant material in the cargo area, 10-way power adjustable driver’ seat, and more. Finally, it comes with speed-sensing door locks. 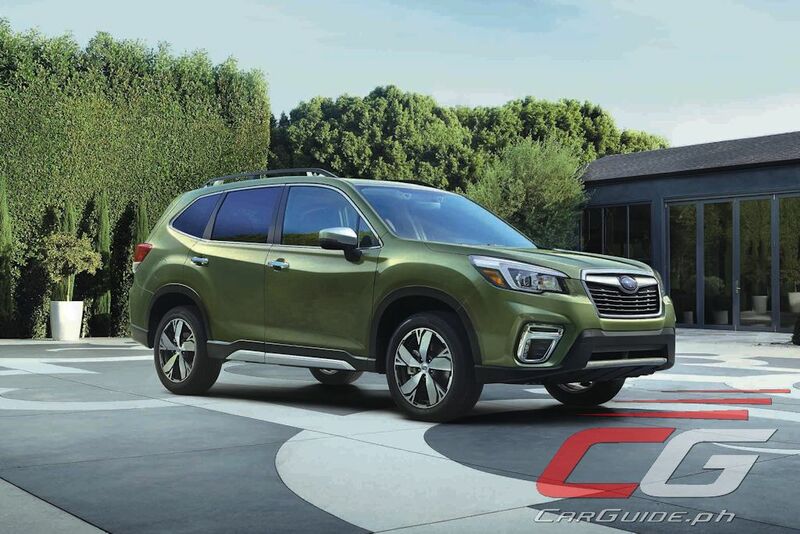 For safety, the Forester is the first model to come equipped with Subaru DriverFocus which uses facial recognition to identify signs of driver fatigue or distraction. 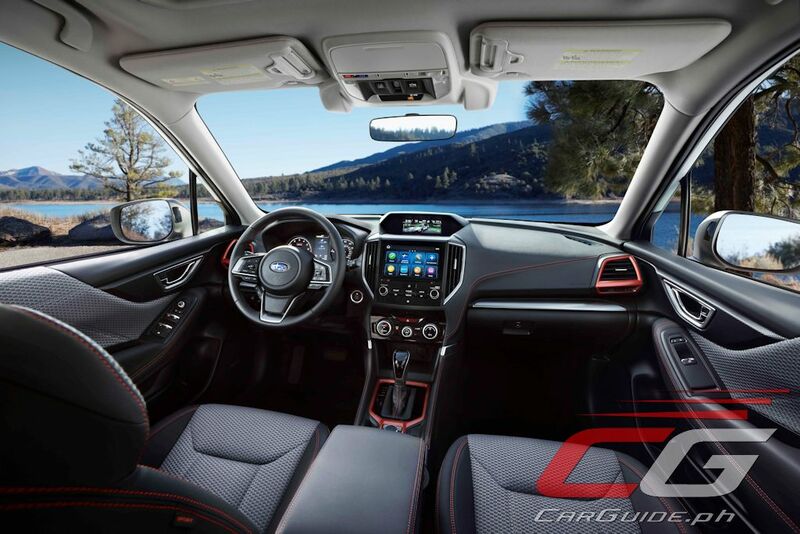 DriverFocus can recognize up to five drivers and can even remember their presets for seat position, climate, multifunction display, and more. Also new is a Trailer Stability Assist. 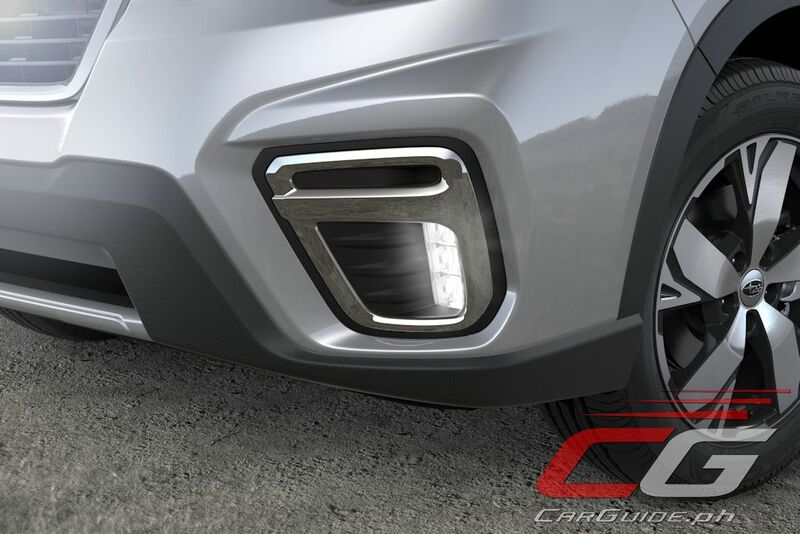 These are on top of Subaru’s vast suite of safety systems which include EyeSight. 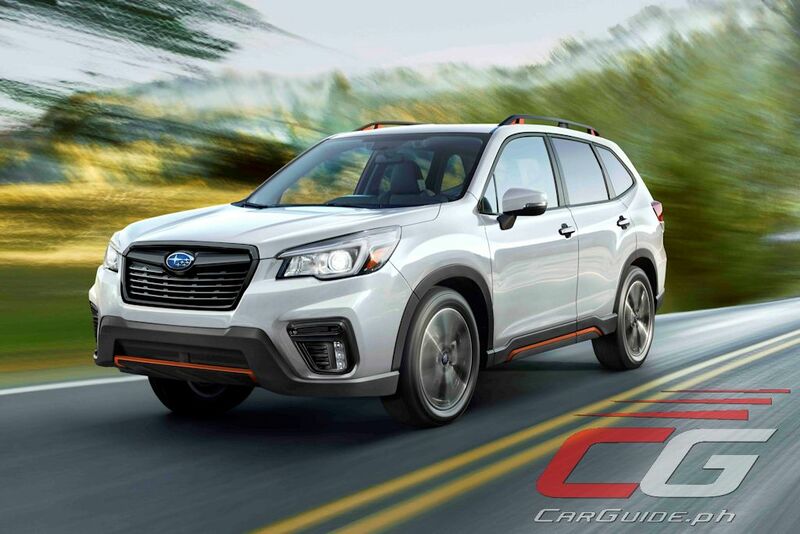 The 2019 Subaru Forester goes on sale in the US later this year. For the ASEAN market, its regional debut is expected in the third quarter of 2018 with a Philippine launch date potentially by early 2019. 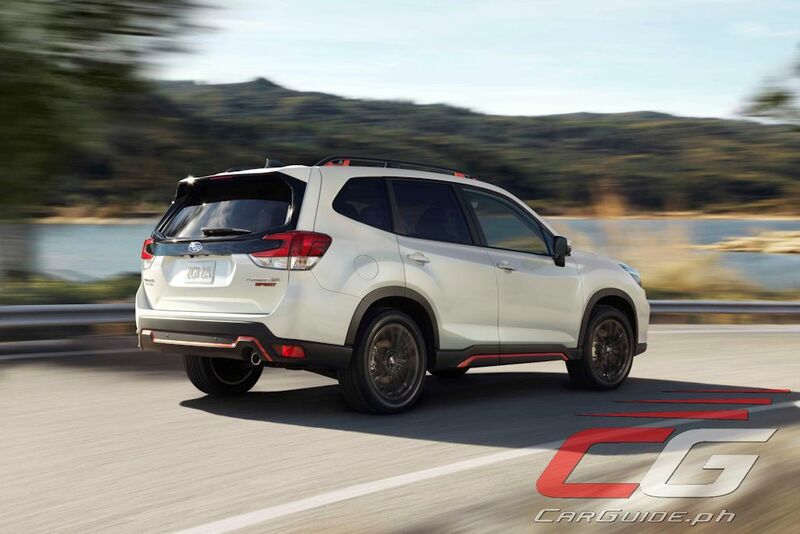 Second picture comes off as a Santa Fe at first glance. Third one reminds me of an innova sport. Subaru is slacking. And so are you. 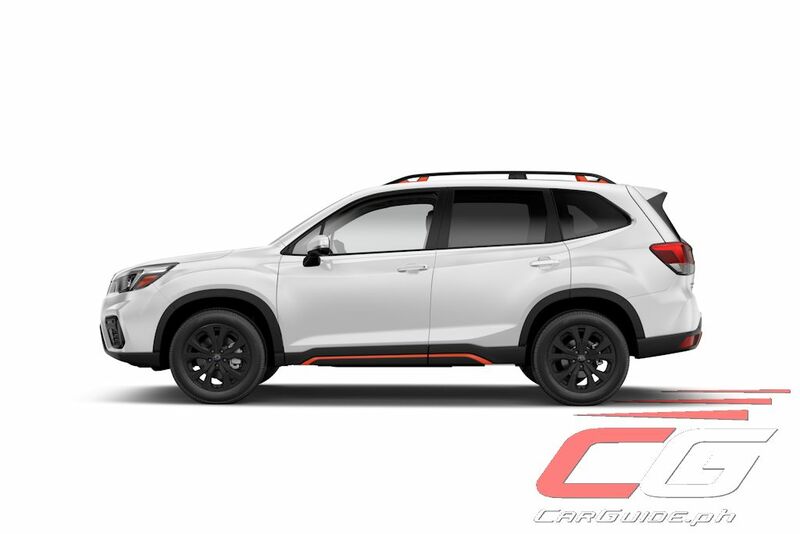 I am always stuck with the 2019 Forester anyway. Outstanding equipment as expected. This is simply a vehicle that you can entrust your and your family's safety. Just sad that the turbo is gone. 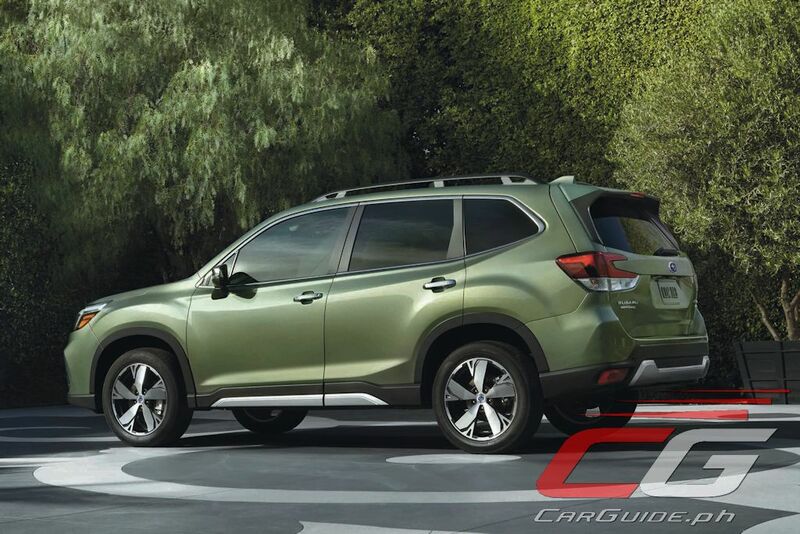 Just like the Honda CR-V for example. I thought it was a facelift. LOL. Everything looks great except for the engine. Subaru groupies like me will moan the loss of the 240PS turbocharged engine found in the previous top spec model. Why the heck was the engine downgraded? I am so glad I have a 2017 Forester XT. It will be one of the last of a dying breed! But the biggest Subaru groupie like ME will be happy for the loss of the 240PS turbocharged engine found on the previous top spec model. Also, the answer to your question is because you are one of the last of a dying breed will be banned for the rest of your life. I am so glad that I will buy a fully loaded 2019 Subaru Forester all because of Russ Swift. looks the same only ricey with all the red accents. Buy the older version. I'm sure this one will cost a lot more. There's nothing significant in it's upgrades exterior or equipment. The added tech are not necessarily better especially on our roads, like the eyesight. If you're a Sube fan buy the old version asap while some pre excise Foresters are still available. 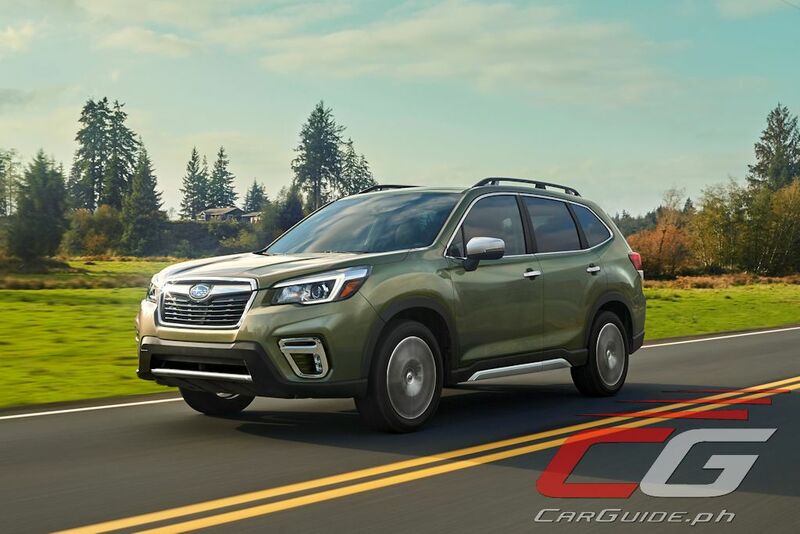 But I WILL buy the new 2019 Forester anyway! Aircon / Condenser already busted in less than 3 years. Giving way to Ascent... that is why HP gone down?